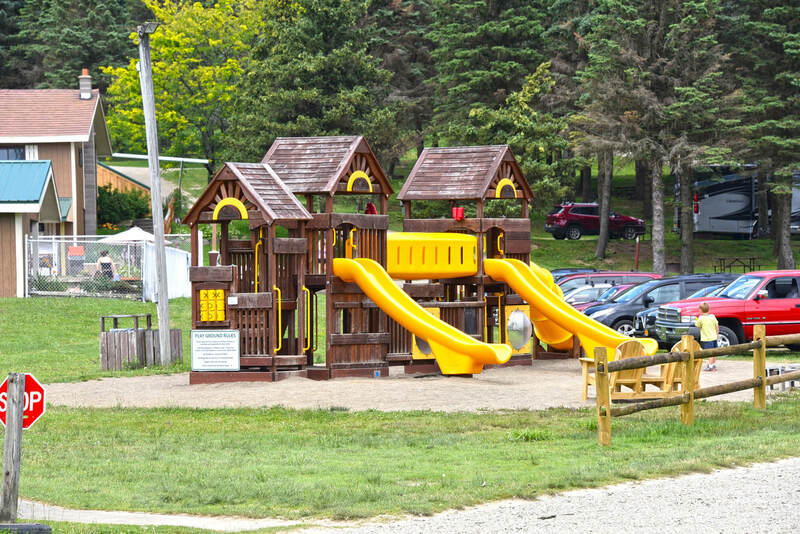 There is no shortage of ways to stay active and have fun with friends, family, and other campers at Allegany Mountain Resort. We have a variety of sports courts throughout the resort that can be used at any time of day. Enjoy shuffleboard, a game of tennis, mini golf or a completely made up game on one of our open fields! There is plenty of opportunity and space to get creative and have fun. In addition to pick-up games on your own schedule, we also organize games on certain days and times so campers can gather and play a team sport. Grab a copy of our weekly newsletter to find out when all your favorite sports and games are happening. 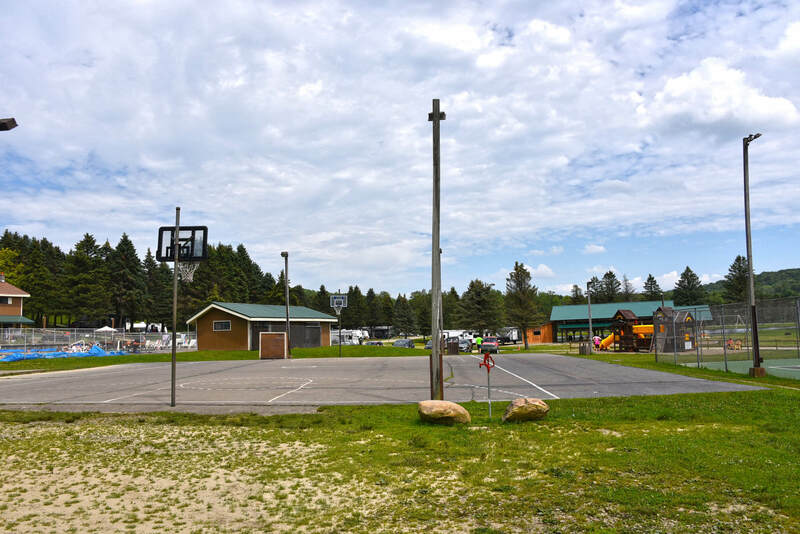 Our sports and activities include: mini golf, sand volleyball courts, tennis courts, basketball courts, baseball field, soccer field, horseshoes, shuffleboard, playgrounds, and nature trails. 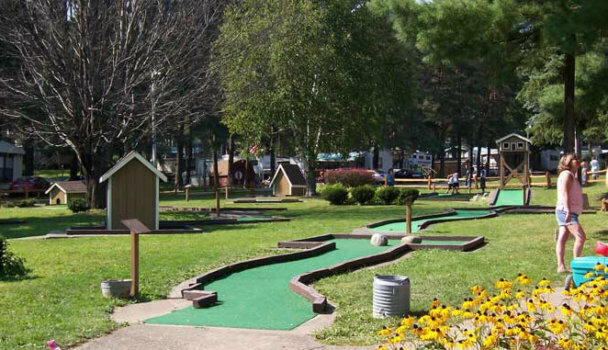 Take a swing at our 18 hole mini golf course. Putters and golf balls provided! 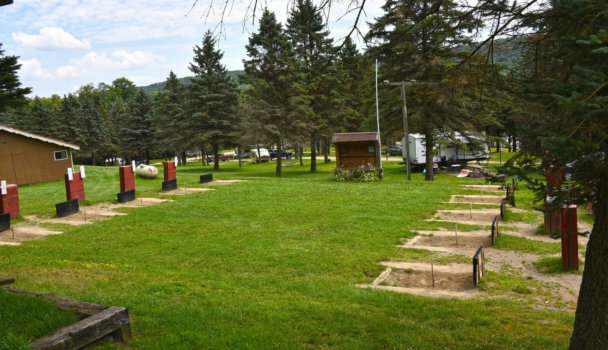 Play a casual game of horseshoes with family and friends or put your skills to the test in one of our weekend competitions!